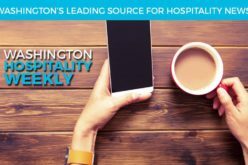 With the start of the paid family & medical leave program set to begin on Jan. 1, 2019, the Washington Hospitality Association wants to make sure you have the information you need to be ready for these changes. Join Julia Gorton, Director of State Government Affairs and a policy expert from the Employment Security Department for a high-level overview of how Paid Family and Medical Leave will work in our state. RSVP today if you would like to participate. For the first time, the hotel and restaurants sectors of the hospitality industry are holding a single annual convention on November 11-13. Focusing on People, Processes, and Performance, the convention will bring four prestigious keynote speakers, over 135 companies providing solutions on the tradeshow floor, and eight industry focused breakout sessions and presentations throughout the event. Register today by visiting the Washington Hospitality Convention website. The National Restaurant Association secured the support of six senators on a Sept. 4 letter to U.S. Attorney General Jeff Sessions asking the Department of Justice (DOJ) to resolve uncertainty regarding website accessibility obligations under the Americans with Disabilities Act (ADA). Litigants have been suing restaurant and small business owners alleging their websites do not comply with the ADA. The DOJ has failed to express an official position about what constitutes compliance under the ADA for such websites, according to the National Restaurant Association. It says without legally recognized standards, it is impossible for restaurants and other businesses to comply with certainty, leaving them exposed to expensive and frivolous lawsuits. Read the letter here. Seattle Hotel Association Golf Tournament: A Huge Thank You! Thank you to everyone who attended this year’s Seattle Hotel Association Golf Tournament. There were 120 golfers at this year’s event—up from 30 golfers in 2017! Together, everyone raised funds for Chief Sealth International High School Academy of Hospitality & Tourism, in association with the Seattle Academies Foundation. Also a huge shout out to this year’s sponsors—we couldn’t have had such a wonderful event without you! Our October meeting will feature representatives from Washington Hospitality to provide updates on active state issues. Zach Lindahl will discuss efforts to address issues with the Liquor Control Board and the formation of an alcohol task force to identify opportunities. Samantha Louderback will discuss the process to update the Food Code, which is currently open for review. Please attend to make sure your feedback is heard on these issues! WHEN: Wednesday, Oct. 3 from 10-11:30 a.m.
Email Teddi McGuire to RSVP. Come and reconnect with your fellow members of the Spokane Hotel Motel Association at 11 a.m., on Sept. 18 at the DoubleTree by Hilton Spokane City Center, 322 N. Spokane Falls Court. Also on Sept. 18, this month’s Spokane Chapter meeting will be at 3 p.m. in the meeting room adjacent to the Palm Court restaurant of the Historic Davenport Hotel, 10 S. Post St. Cherie Gwinn from the Spokane Regional Sports Commission will speak about coming events in Spokane and how many people are expected to visit in 2019. For more information, contact Tobby Hatley. Washington Hospitality Association members in the Tacoma area are invited to attend a general membership meeting on Wednesday, Sept. 19 from 9-10:30 a.m. at Cloverleaf in Tacoma. Mayor Victoria Woodards will also join the group to speak briefly about happenings in city council. RSVP to join us at the event here.